A Whopping 92% of the People Who Attended This Webinar Recording Rated It As Great to Excellent! According to multiple studies, the thank you letter is the first--and possibly most important--step in donor retention. Your thank you letter should be personalized. It should be authentic. And it absolutely must be donor-centered. We will show you step-by-step how to create a thank you letter that makes your donors smile and want to give again. 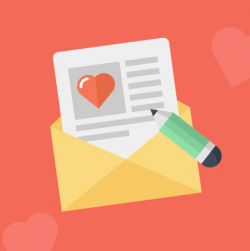 We’ll share examples of great and not-so-great thank you letters, and we’ll craft a template thank you letter that you can modify for your nonprofit. "This webinar was very practical with immediate practical tips that I can implement in my donor recognition program." "Thank you for having such a knowledgeable and engaging presenter on this topic! Examples, visuals, and take-home tools were especially helpful!" "Thank you for helping me, and my Foundation write more effective Thank You letters to our donors!!" "I learned a great deal on today's webinar on how to best thank our donors! I also felt good that I am already doing quite a bit of what Heather suggested! So, I felt validated and inspired to do more!" "I truly enjoyed this webinar. I thought it was very engaging, and I really liked the "survey"/interactive sections throughout the presentation. I also appreciated the separate resources and documents that were provided." "That this webinar held our attention for 90 minutes is remarkable. Typically, we listen to about two webinars a month, and frankly five minutes into them, we are dozing off, checking Facebook and wondering how long we will have to wait for a nugget we can actually use. We were not event tempted to check Facebook!" Molly MacDonald, The Pink Fund. "This webinar was more detailed than any other webinar I have attended. There were tons of facts, dos and don'ts, and how to's that were very practical. The fact that you also get downloadable resources is even better!" 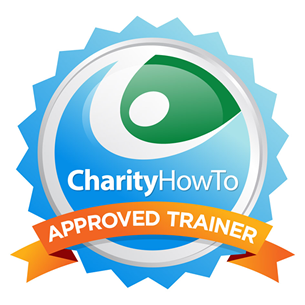 "I always know I am going to get my money's worth from CharityHowTo webinars." "CharityHowTo provided me with access to experts on donor-centered fundraising. Thanks to CharityHowTo I know exactly where to go with questions." "Great information that can be used immediately to change the authenticity of your NPO's thank you letters. I learned the difference between an acknowledgment and a thank you letter, we will begin using that information this week!" Presented by Nonprofit Data Guru Heather Stombaugh, MBA, CFRE, GPC. Heather has more than 15 years of experience in nonprofit leadership, programming, marketing, and fundraising. She is the founder and principal consultant of JustWrite Solutions, LLC a national nonprofit consulting firm based in Ohio. Heather practices and teaches integrated fundraising and nonprofit management by measurement. She provides technical assistance to nonprofits of all sizes across the country who seek to gain a competitive advantage in fundraising and grants through evidence-based practices, such as needs assessment, meaningful measurement, evaluation, clinical research, and Social Return on Investment. While personally raising more than $73M in grants and donations for her nonprofit clients, Heather is also a published author, a peer-reviewer, a state/federal grant reviewer, a local/national presenter, a volunteer, a mentor, a wife, and a mother.